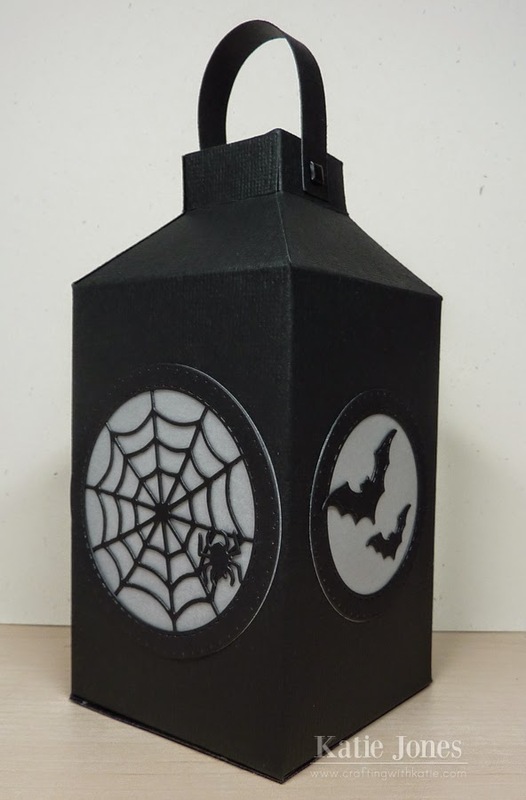 It's What a Treat Wednesday with My Creative Time, and today I made a fun lantern using a Silhouette cut, which I altered with some My Creative Time dies! To do so I added circles to the lantern cut file that were slightly smaller than the larger size circles I would be cutting with the dies. Then I used the Bunch of Fun Circle Dies to cut circles of vellum and to make black rings to glue on top of that. 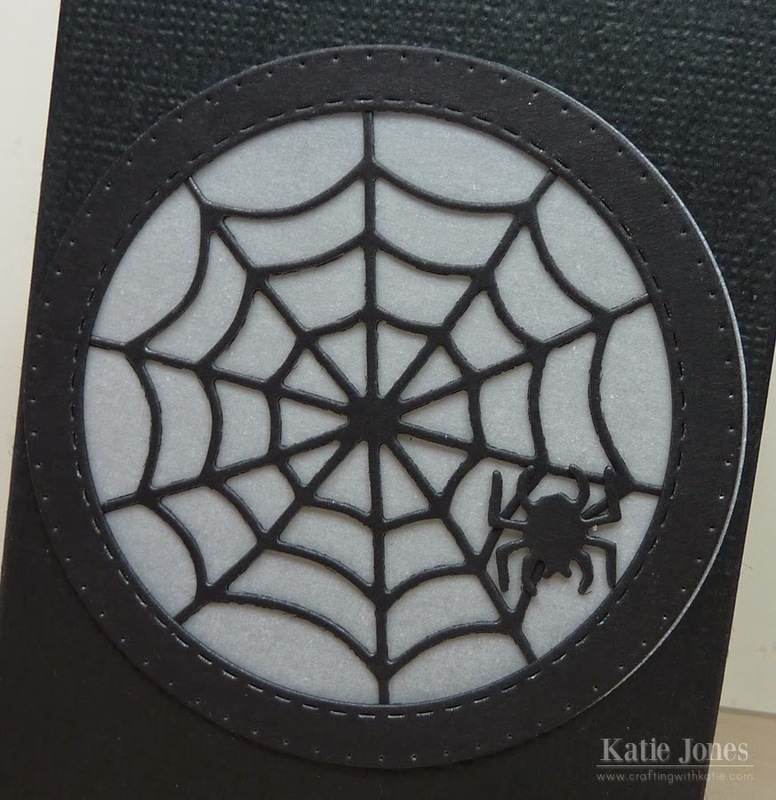 For this window, I also added a spiderweb and spider from Wicked Fun Dies. 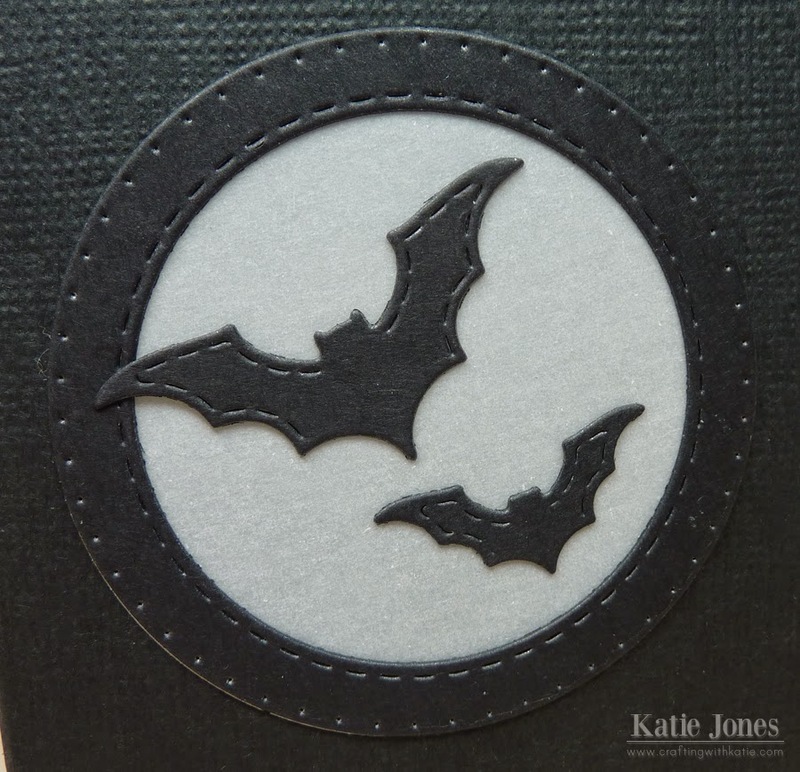 I used the next smaller sized circles to make this window and added some bats, also from Wicked Fun Dies. 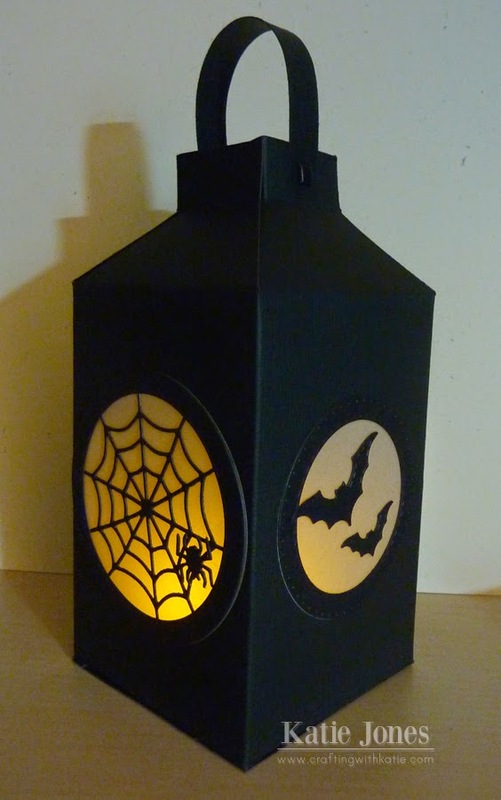 Here's how the lantern looks with a LED tea light candle in it. Spooky! OH WOW Miss Katie What super fun Luminary gosh love how you used Miss Emma's goodies...Now talk about being super clever and creative....YOU totally Rocked the Treat idea for today I just love it and what a visual treat for sure. You just always come up with fabulous ideas!! YOU ROCK!! OMG Katie! this is AMAZING!!!! Such a fun and creative project!! Oh my GOODNESS Katie!!!! I just love this. I'm having a Halloween Birthday party for my daughter on Sunday. You know how I'll be doing. heeheehee. Katie ~ OH MY WORD!!! I LVOE this!! Okay this might ~ just might ~ have me pull out that machine! Especially that you used the circle dies and the Halloween dies from MCT!! ADORBS!!!! Better yet just send it to me! Thanks! This is an awesome decoration! I love it! I like how you used the circles, web, spider and bats to spook it up. Fabulous job!